The 49th edition of the Superbowl was surely great to watch if you are either a) An NFL fan or b) Anyone who enjoys outdoor meals, hence its popularity. Being a Mexican, I am not an NFL fan nor I fake to be one at all but I do enjoy the Superbowl for 1 reason alone. The Commercials. I enjoy well done publicity and this day is when the most amount of pupils are staring at the TV which means company's will try their very best to make their products noticeable and enticing. Here, I have rounded up all the automotive (Car Brands) ads for your enjoyment. If I miss any (I don't get US commercials in Mexico) please remind me and share your opinions bellow. 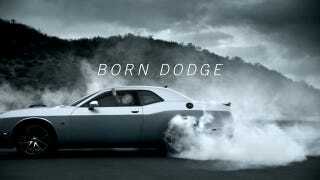 For me, the best commercial has to be Dodge's "Dodge Wisdom" whilst the absolute worse goes to Mercedes' horrible attempt at humour with "The Tortoise and The Hare"